This weekend was like most other weekends. I went home. 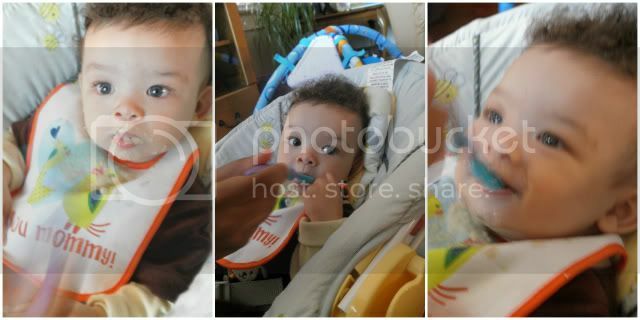 Played with baby. Ate. Relaxed. This weekend seemed to go by so fast. No fun. But, I did get to jump start my weekend on Friday night with this guy. Yeah, that's right. Stick Stickly is back. I am one of those people who would get in a time machine and relive their childhood in a heartbeat. I feel so sorry for kids that didn't grow up with 90s Nickelodeon. Teen Nick has been showing old episodes for months. Unfortunately, they started at midnight. And, since I'm not 12 anymore, I actually like having a bedtime and stick to it. This week, heaven opened up and dropped two miracles on my lap. Teen Nick recognized their cash cow and decided to move 90s Nick up to 10pm. Hollaaaa! 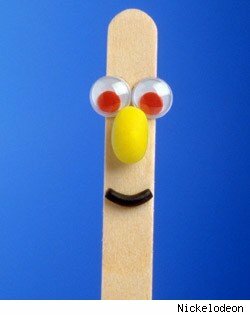 And, they brought back the biggest heartthrob of the 90s, Stick Stickly. He now hosts 90s Nick on top of allowing people to pick the episodes! I know, I can't calm down either! Friday I watched an episode of Legends of the Hidden Temple! I mean who didn't want to be a blue barracuda? Now they're adding Hey Dude. Yippy Ki aye what??? Well that rant is o-v-e-r.